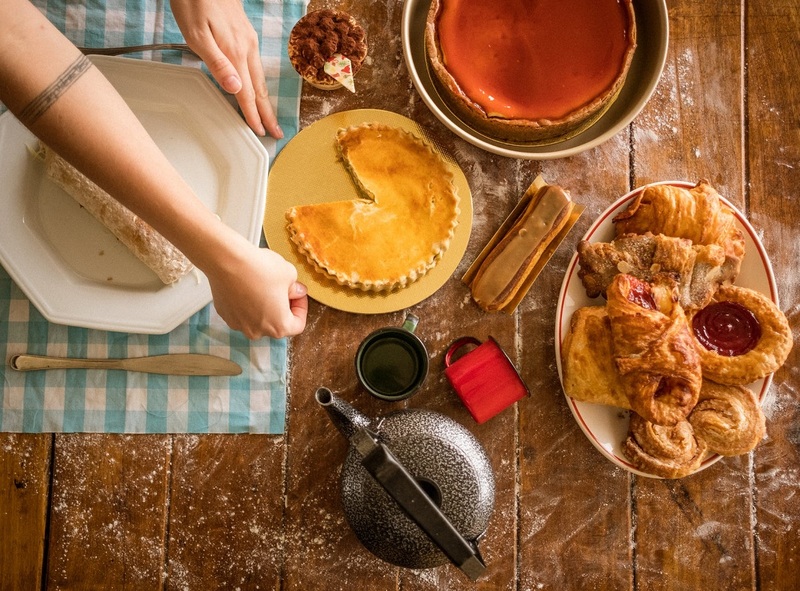 From sweet honey syrups and pistachio flavored ice creams to crust-less pumpkin pies, the Middle Eastern cuisine has a sweet side too. In fact, there’s nothing quite like a table full of Arabic desserts to make you feel the vibes of festivities. 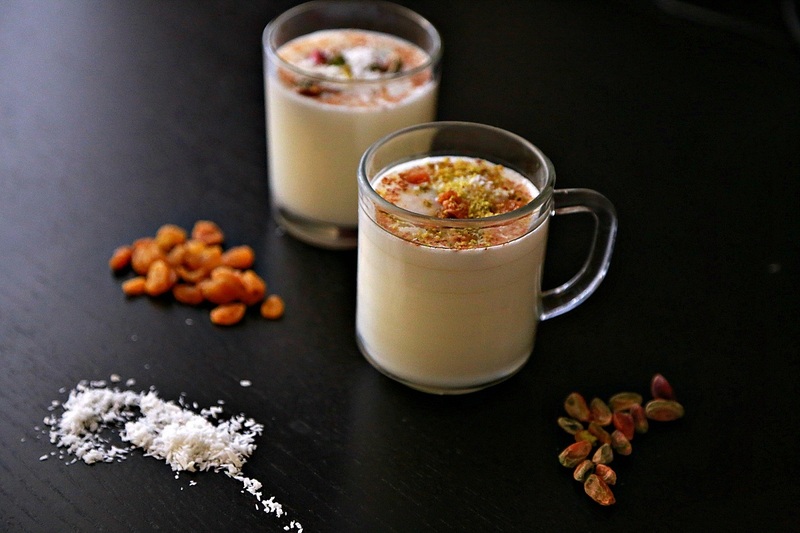 But, the exotic Middle Eastern treats are not your regular, sweet puddings or cakes; these are the kinds that melt in your mouth with satiated flavors, buttery smooth texture, and crispy, nutty toppings. 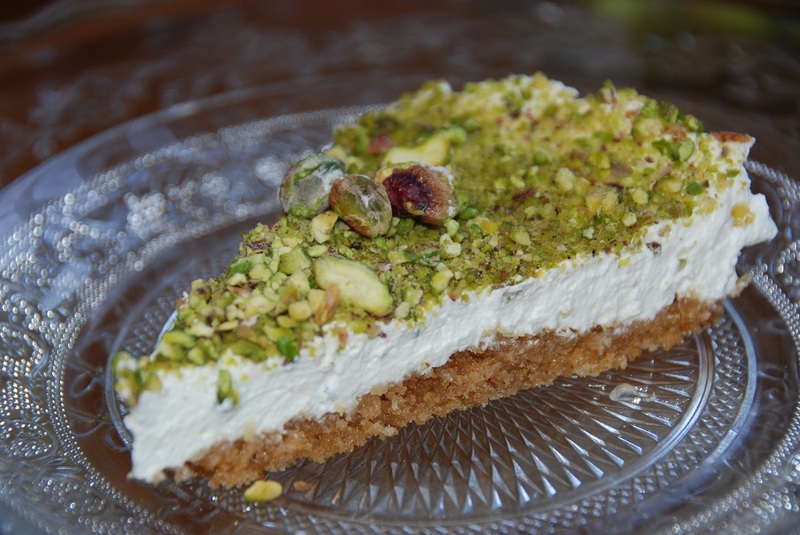 Here, we have curated a list of most delectable Middle Eastern sweets. Before you scroll down, take a deep breath because you’re all set to enter a delicious world, made of the Middle East’s most palatable desserts. 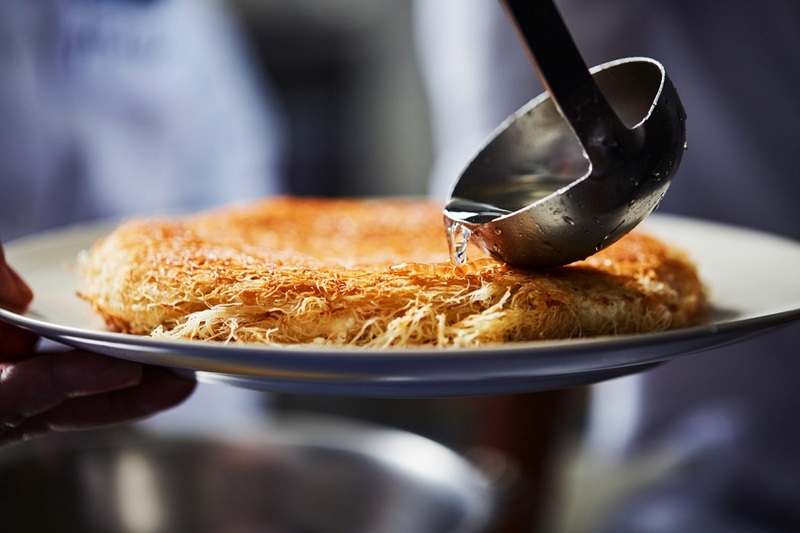 Sweet, crunchy, and creamy – Kanefeh or Konafa is Middle East’s most popular sweet, which is commonly made at home during Ramadan, Eid, and other festivals. And nevertheless, to say, Kanafeh is Middle East’s answer to cheesecake. 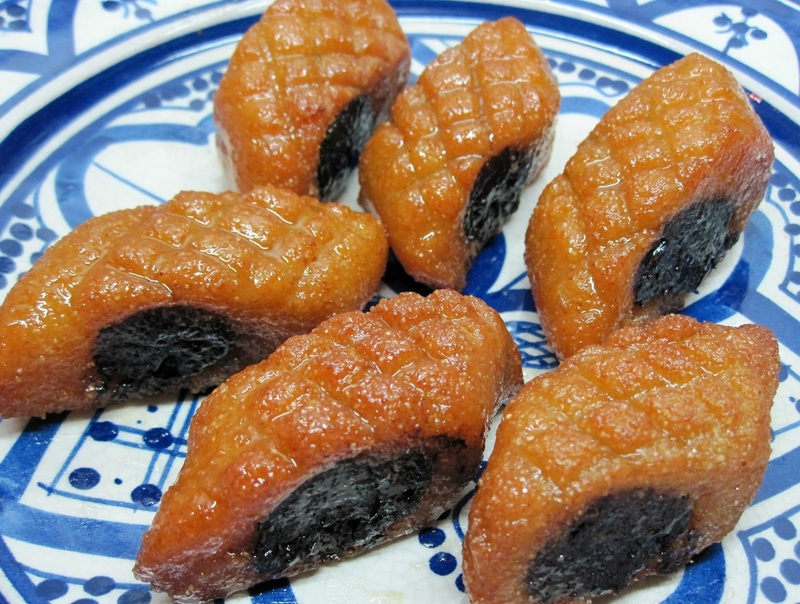 No wonder, this delicious sweet is a must-have if you are looking for some traditional dessert from the region. 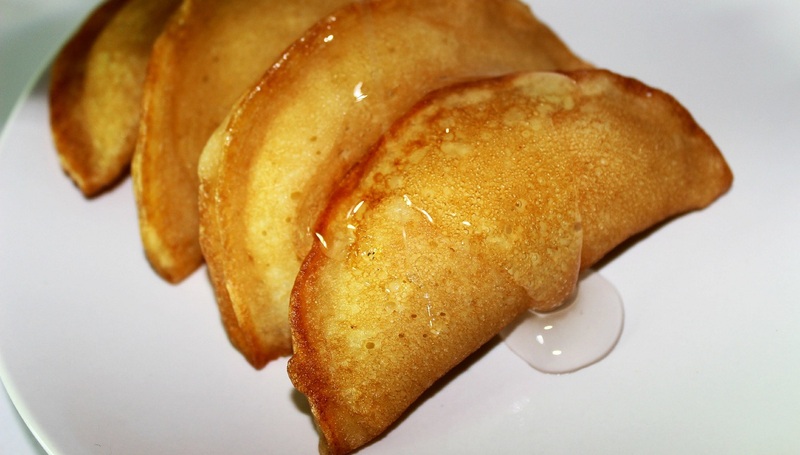 Qatayef is a not-too-sweet doughnut filled with cheese and nuts soaked in syrup. A family gathering or an celebration is never complete without Qatayef. It’s a Turkish dessert, which is mostly served in shot glasses and topped with pomegranate pearls, pistachios, cinnamon, and a mint leaf. The contrasting flavors in this rice pudding recipe are a treat to the eyes first and then to the taste buds as well. We dare you to resist this amazing one glass exquisite dessert. This dessert – Aish El Saraya is made with toasted bread slices or rusk sweetened with orange blossom scented syrup and also topped with tasty creamy custard. This sweet is often eaten during Ramadan in the Middle East. Believe us! Umm Ali takes the crown as the most delightful and delicious of all Middle Eastern delicacies and is especially popular during Ramadan, Eid and at weddings. It’s a heavenly mix of condensed milk, puff pastry cream, a scented pinch of cinnamon and heavy dose of crunchy nuts, which baked altogether to give you instant delight in the form of a rich pudding. Makhroud is semolina-based dough rolled out and crammed with fresh date paste, fried or baked before being cut into divine little bites. This sweet is served widely during Ramadan, Eid, and other celebrations. 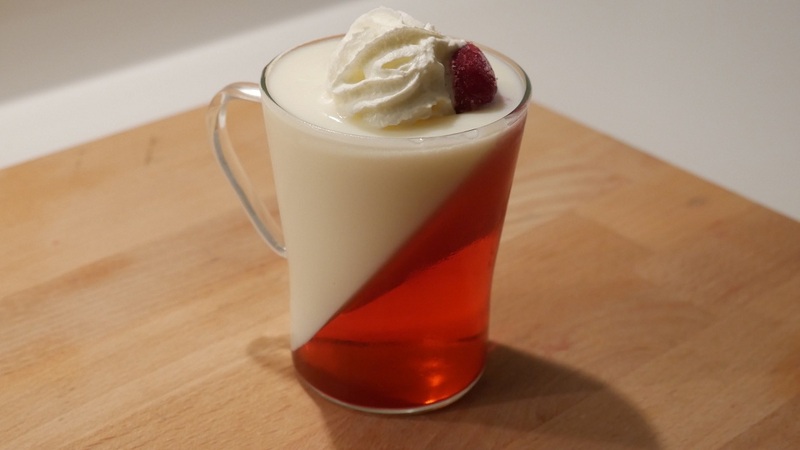 Scrumptious, Silky, and Smooth – this cornstarch and milk pudding is too good that you don’t eat but drink it. You can serve this dessert either hot or chilled but never serve without mixed nuts, coconut, and honey topping. Sahlab is served mostly during the holy month of Ramadan in the Middle Eastern countries. 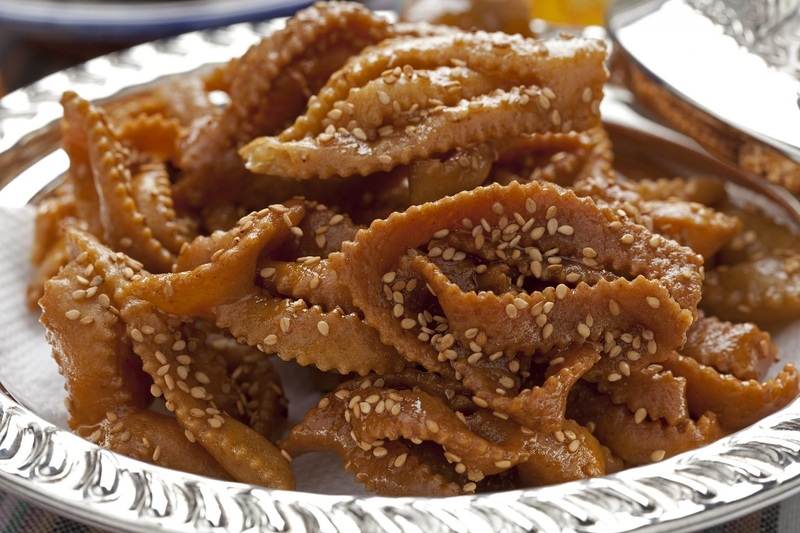 A yummy and delicious treat from Morocco – Chebakia is a flower-shaped sesame cookie made with dough. But wait, that’s just the beginning – once baked, these delightful treats are then fried and dipped in orange syrup and hot honey. 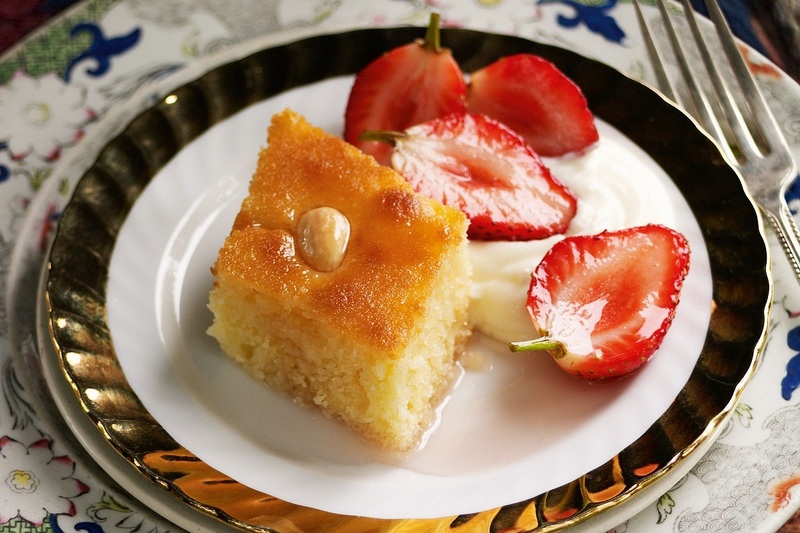 Basbousa – one of Ramadan’s delicious traditions is a sponge cake of the sweetest kind. 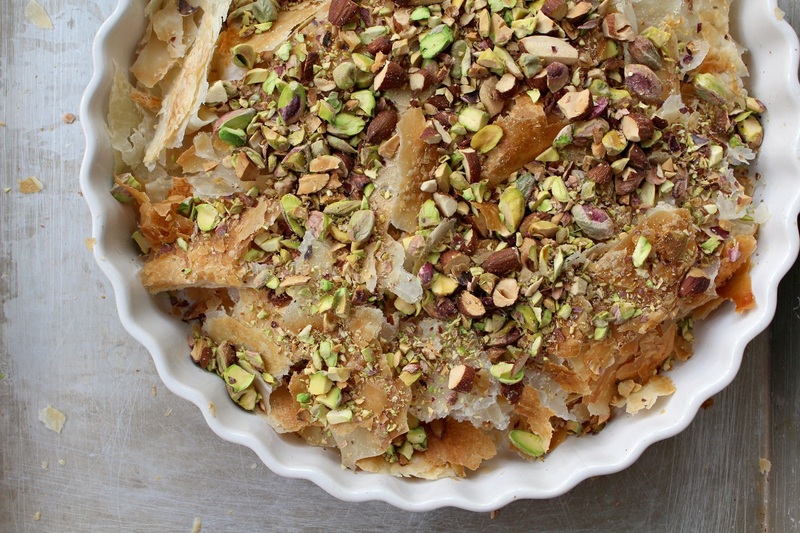 This popular Egyptian dessert is made with semolina batter and is topped with nuts, almond, or coconut flakes. It is served mostly during the holy month of Ramadan in Egypt. 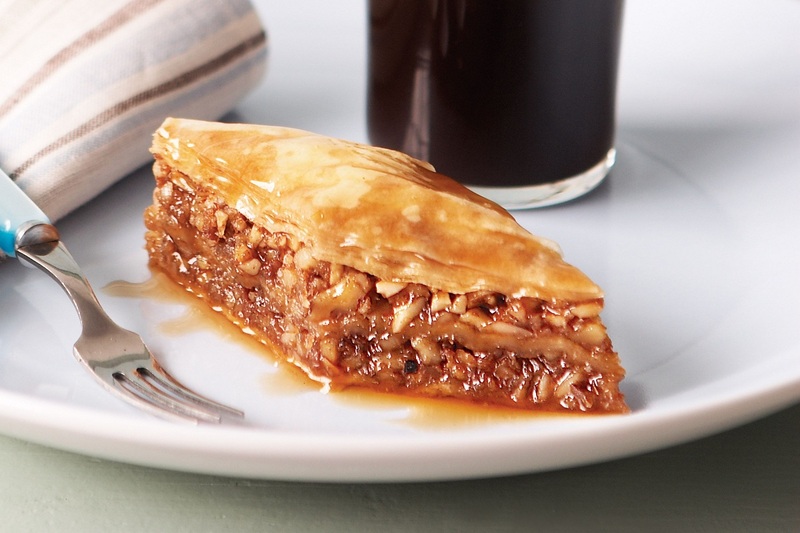 Baklava is one of the famous desserts, which brought the Middle Eastern taste to the world stage. Its layers of crunchy nuts and crispy puff pastry soaked in mouth-watering sticky sweet sugar syrup. This is then baked and cut into squares. Drooling, already?